This time we want to write about best power ballads in the history of rock music. Simply, we are talking about those songs that make you want to hold up your lighter up and waving it around. For this list, we’re focusing on rock songs that conjure up intense emotion deep within the soul for listeners and musicians alike. Ok, let’s be clear: not all power ballads require an epic music video to become legendary, but it certainly doesn’t hurt. 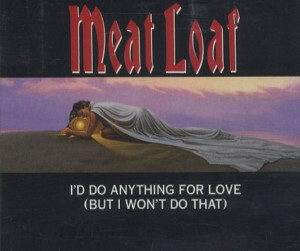 For this 1993 hit, Meat Loaf actually recorded a 12-minute album version of the song, in which he passionately, and perhaps obsessively, details out his crippling loneliness, a fondness for both fire and ice, and of course, his fair set of standards for love. 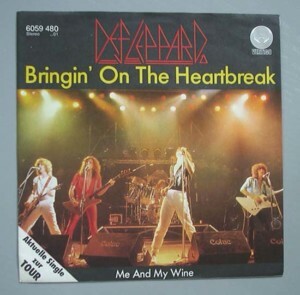 From the opening piano to the intense final act, this song would be absolutely nothing without the wrenching vocals of the man known as Meat Loaf. Produced by Shania Twain’s ex Mutt Lange, this monster ballad is notable for its powerhouse music video released during the early days of MTV. In other words, lovers suffering from the horrors of heartbreak could not only listen to a mildly depressing jam, but also see their pain come to life though the oddly shaped guitars of Def Leppard and their power mullets. This chorus was specifically designed to make listeners sport their most badass leather jacket, smoke a Marlboro Red and embrace their passing pain. This all coming from the band that also taught us that “Love Bites”. You know it’s about to get real when Axl Rose steps away from the mic stand and cues the orchestra. It’s time for an agonizing power ballad that will gently rip away at your soul and make you sort through old photos of your ex. 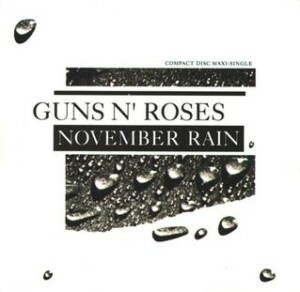 Let’s face it: “November Rain” wasn’t created for couples enjoying a picnic at the local park. It’s for recently broken-up lovers to lip-synch into the mirror with the passing chance that a cold winter romance could blossom into something more. At almost nine minutes in length, GNR had early nineties rock fans bawling their eyes out to this emotional epic. It’s really hard to choose one song between “Don’t stop believing” or “Faithfully” or basically any other song by Journey as the best power ballad from this band. It’s almost like they were put on earth only for making epic power ballads. But then again, with those beautiful compositions and vocalist’s amazing and powerful voice, you can’t expect anything else from this band. 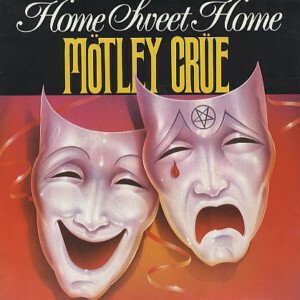 It’s no secret that Mötley Crüe consumed a heavy amount of hard drugs and alcohol, but they were also passionate storytellers, with “Home Sweet Home” as their most poetic example. Through contrasting themes like “high” and “low,” along with “right” and wrong,” Mötley Crüe showcased their ability to demonstrate the long and winding road of life. Even if their home was a tiny studio off Sunset Boulevard, this power ballad struck a chord with listeners and became one of the definitive videos of the MTV generation. While some of the entries on our list are best listened to AFTER a break-up, this one is best enjoyed during the MAKE-up. Acoustic guitar. Classic ’80s guitar solo. 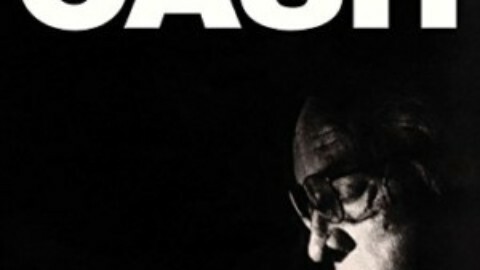 Existential lyrics about an unknown DJ. What’s not to like? 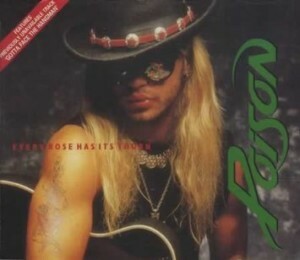 In a time when rock stars and their fans were straight up getting buckwild on a nightly basis, Poison dropped this power ballad and essentially offered everybody a time out from the madness. You want a heavy dose of power ballad drama, you say? Well, here it is. Behold: heavy opening whispers…followed by a killer riff. Yes, this Scorpions classic contains an ebb and flow of power ballad emotion, as the lyrics touch on the concept of building a psychological wall, only to tear the sucker down with unconditional love. 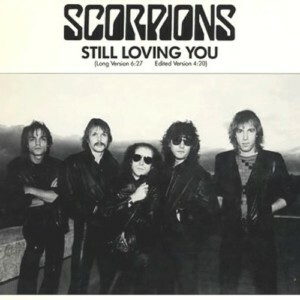 “Still Loving You” takes us on a journey over six stirring minutes, as lead singer Klaus Meine delivers vocals filled with anxiety, pain and unhealthy obsession. Well, here’s a heavy burden to bear for any would-be lover, since it’s one thing to ponder the idea of love, and another to want someone to show you actual love. 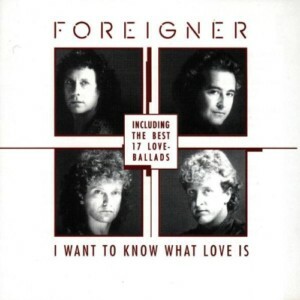 Ok, you get the idea of this Foreigner hit, well, because it’s all in the title. “I Want to Know What Love Is” came at a crucial moment in music history, as music videos allowed musicians another medium to express their utter confusion in regard to romance, and thus channel their energy to a world of equally troubled listeners. I (and probably yourself ) can name a few people that in some part of their life, knew this song as the best song to be heard. 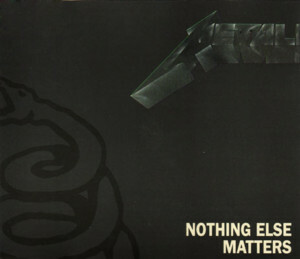 Of course Metallica’s commercial power makes it a lot easier than the rest of list for being heard even by those who have no interest in rock genre, and probably make them fall in love with it. It would really hard to find someone who doesn’t find this song amazing.